50 DAY ALERT - Climb and Trek Nepal This October, November, December. 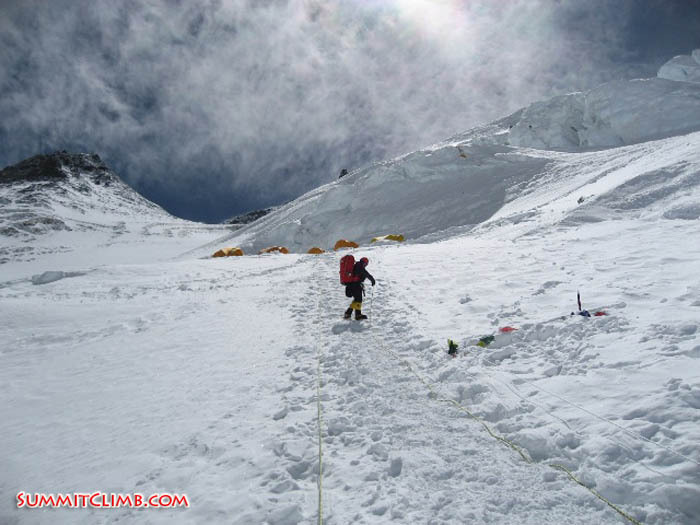 50 DAY ALERT: exciting climbs and treks in Nepal on large and small mountains are just 50 days away. Plane tickets are still available. Due to popular demand, we have added new dates in November. Join our fun teams of men and women of all ages this October and November for trips of varying lengths of 5,7,12, 18, 22, 29, or 34 days. We also have December and January trips available. 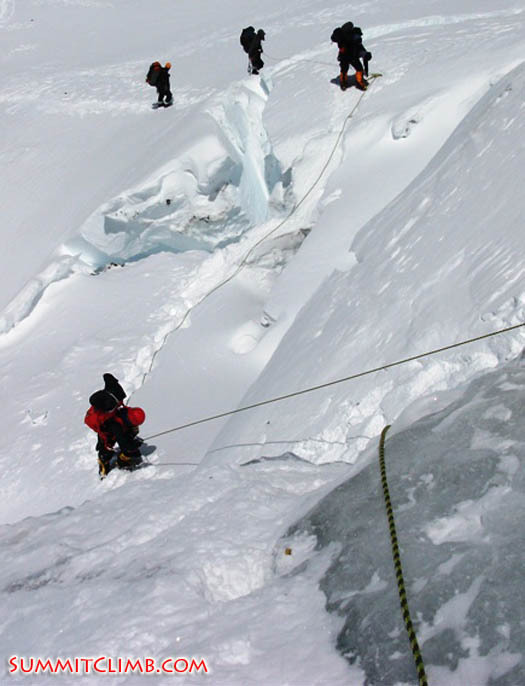 We have just opened the bookings for our Everest season in April 2015 and the trips are filling. All prices are going up in 2015. Book now and don’t pay any increase. Our current prices are still the same as in 2012. Please read down for a list of trips on offer. Are you ready to join us? 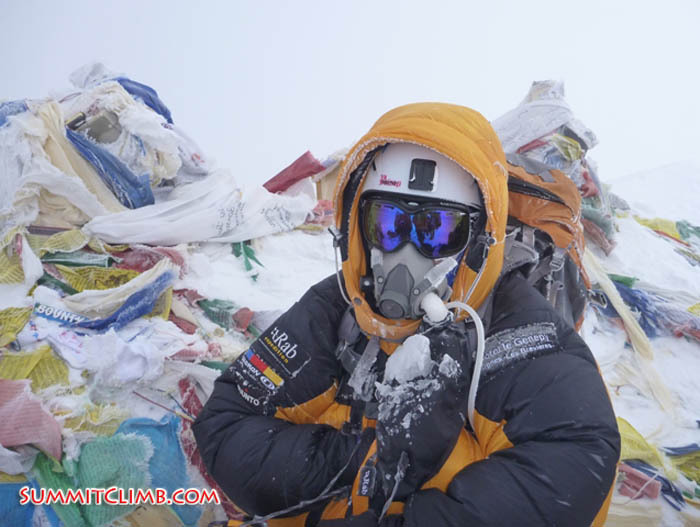 After all of your questions are answered (our contact details are featured at the bottom of this email) please go to www.SummitClimb.com and click on the "HOW TO JOIN THE TEAM" button. Welcome to our team! Our www.SherpaTrainingSchool.org is in full swing, and our Sherpas having been attending English classes, in order to serve you better. 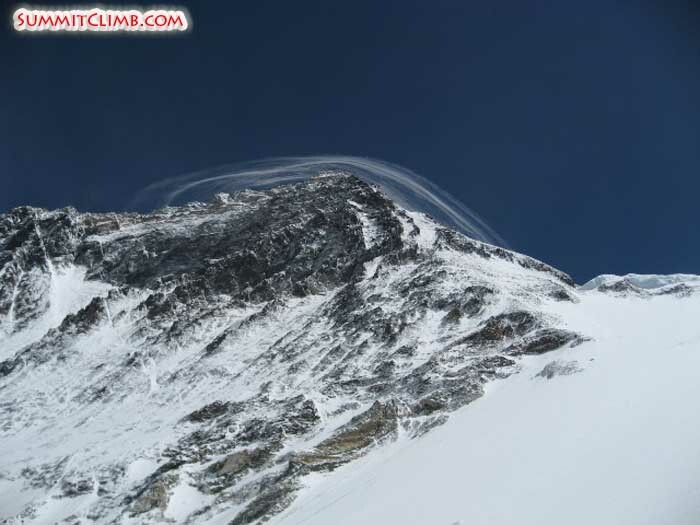 The best view of Mount Everest and Lhotse from Mera Peak. Photo by Susanne. Ray showing his country flag with the help of our leader. Photo by Ray. 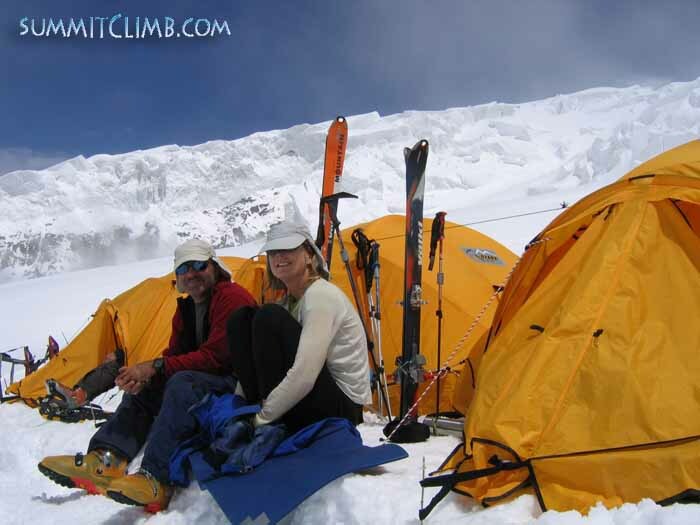 Ray and Susanne on the summit of Mera Peak with Mount Everest in the background. Photo by John. 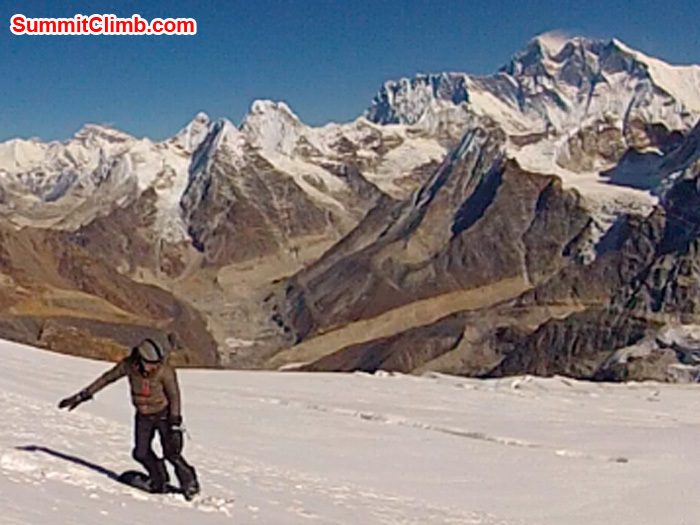 Holly Budge snowboarding down Mera Peak, with Mount Everest in the background. Photo by Corne Deelen. Sean Foxcroft in the Yellow Tower, the crux pitch of Ama Dablam: 10 metres, 30 feet of UIAA 4th class, North American 5.6, British Severe, climbed on very solid granite with good fixed lines. Photo Dan Mazur . Amazing photo of Ama Dablam taken outside of Namche (Liam Suckling). Photo Sarabjit Bhooee. Mark traverses solid granite on the ridge below camp 2. Sarabjit Bhooee Photo. 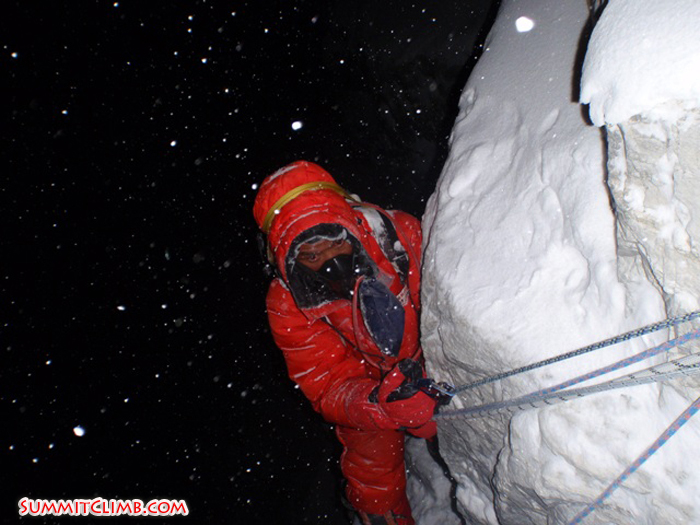 We were fortunate to be able to assist in the first ascent by a Nepalese woman, and putting the youngest woman on the summit. Maya Sherpa and Camille Kinny on the summit, with Everest on the right. A beautiful day, if a little windy. When we got back to Kathmandu the reporters were at the hotel and the story was printed in the paper (Chris Kinny). ISLAND TREKKING PEAK EXPEDITION. 22 days in October-November 2015. Nepal's most famous easy trekking peak. Trip includes a visit to Everest basecamp too. Leader Dan Mazur teaches you everything you need to know. Introduction to high altitude. Full Service Cost: $2950, £1950, €2250. 5 day option: $1350. 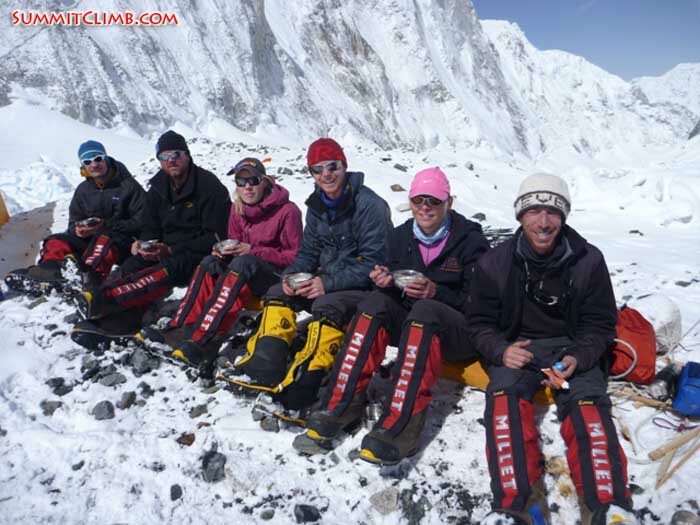 Our team reached the summit safely in 2010, 2011, 2012, and 2013. www.IslandPeakClimb.com . 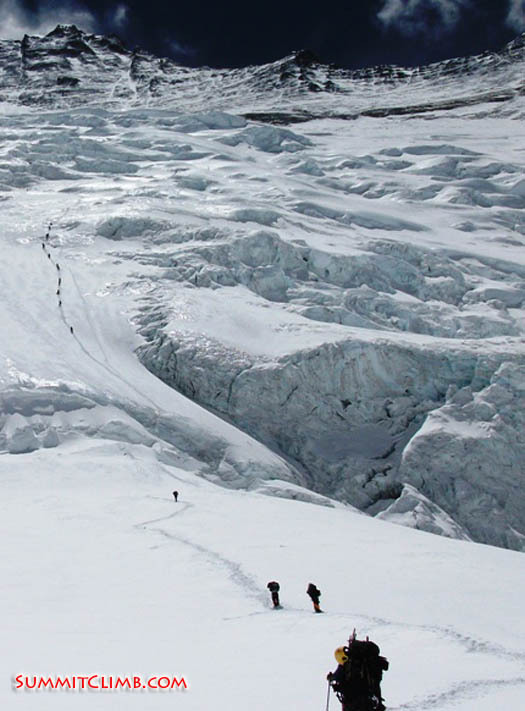 EVEREST GLACIER SCHOOL. 22 days in October-November 2015. 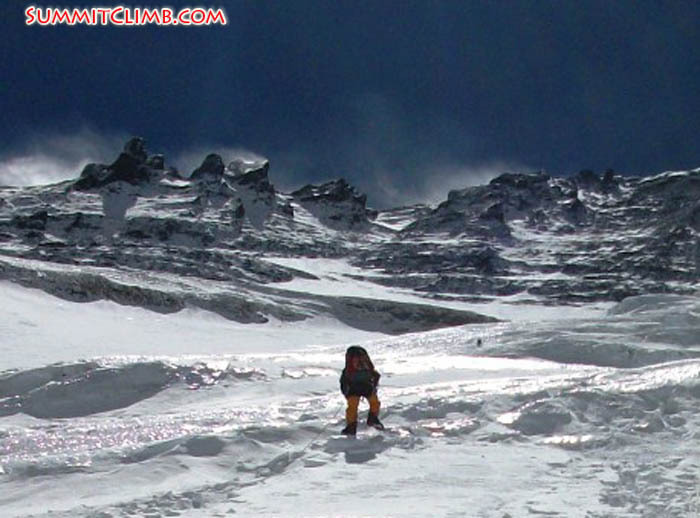 Trekking to and training upon a 6000 metre / 19,000 foot high peak near Everest. Introductory level training course giving you the skills you need to graduate to snow, ice and rock climbing on higher peaks. Like Everest. Patient teacher Dan Mazur teaches you everything you need to know to climb in the Himalayas. Full Service Cost: $2950, £1950, €2250. Seven day option: $1450. 4 day extension to Everest Basecamp: $550. 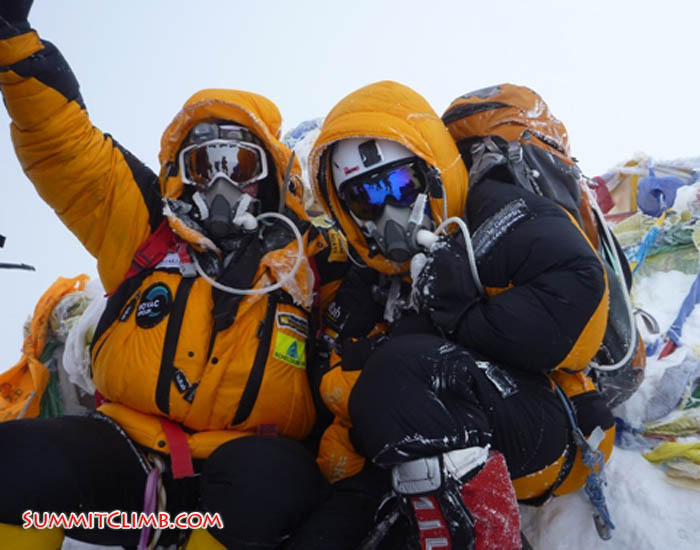 Our team reached the summit safely in 2010, 2011, 2012, and 2013. www.EverestGlacierSchool.com . Paula, Alexandra, and Sam ice training near Everest basecamp. Photo by Mike Fairman. David Maidment on top. Photo by Elmo Francis. December, January, and February MOUNT ACONCAGUA CLIMBS TO THE HIGHEST PEAK IN ALL OF THE AMERICAS and a famous Seven Summit. 20 days in Argentina climbing a very easy and very high mountain. 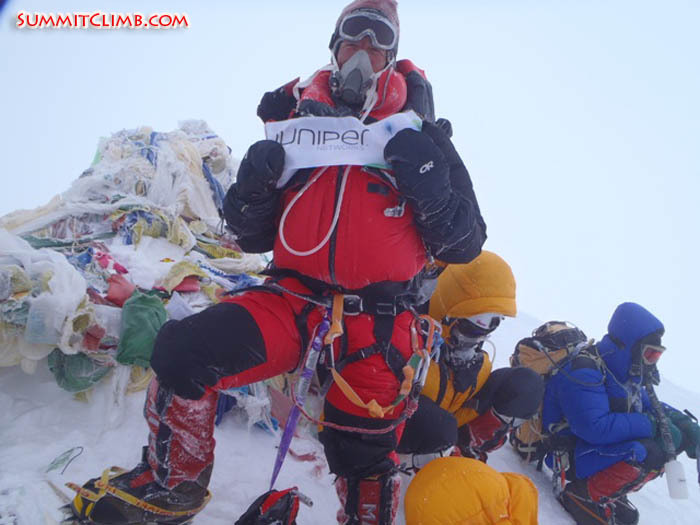 6980 metres / 23,000 feet high and excellent preparation for Everest. 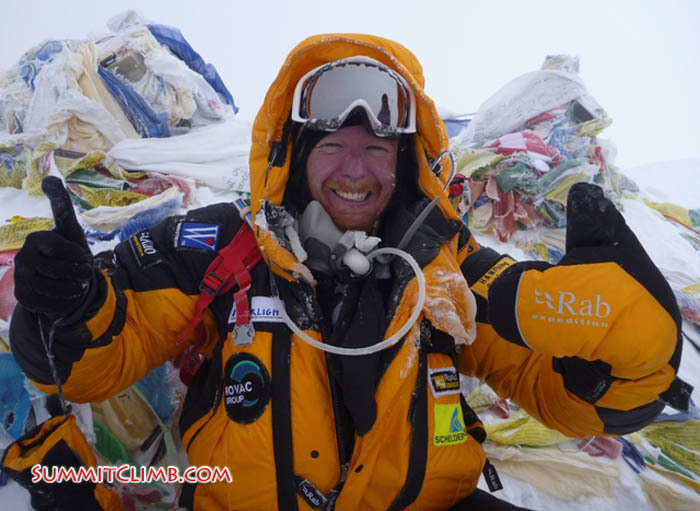 Patient, friendly leader Max Kausch teaches everything you need to know and has been the chief of 20 expeditions for Summit Climb. Cost: $3750, £2260, €2735. www.AconcaguaSummitClimb.com . 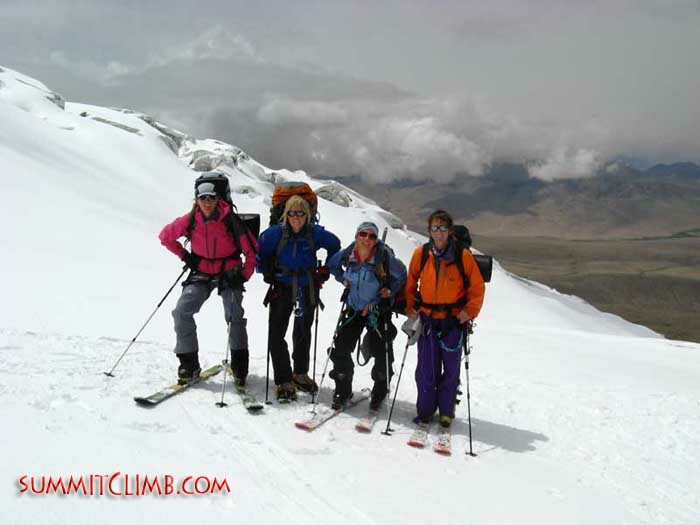 RECENT NEWS: OUR FREE OF COST, NO CHARGE, CASCADE GLACIER SCHOOL RETURNED FROM THE SUMMIT LAST WEEK. 9 out of 10 ON TOP!! PLEASE GO TO WWW.CASCADEGLACIERSCHOOLNEWS.ORG . IF YOU PLAN TO BE WITH US DURING THE NEXT 12 MONTHS, then you need to contact me now, as all of our trips are nearly full, with only a few places left. This is because we have not raised our prices and kept them very low to encourage returning and new members to join our teams this year. Please recall we offer ***DISCOUNTS*** for returning members, referral - finder's fees for inviting your friends, group discounts for two or more, guide's discounts, leader in training discounts, medical practioner's dicounts, and tour operator commissions. WE ENCOURAGE YOU TO STAY UP TO DATE ON ALL OF THE LATEST INFO AT: www.facebook.com/summitclimbers and all of the social media pages mentioned at the bottom of this newsletter, including Skype, YouTube , Twitter , Instagram , Pinterest , Linked-In and Vimeo. Several times a week we publish the latest news on our expeditions and other mountain issues including photos, videos, blogs & always encourage you to join in. 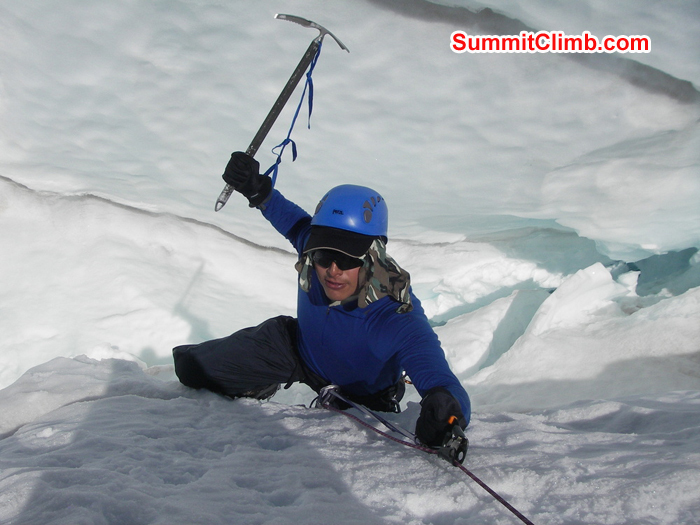 FREE NO-COST PERMITS FOR EVEREST AND LHOTSE AND EVEREST NEPAL TRAINING CLIMB. The Nepalese Government Authorities will grant a free climbing permit to anyone who was denied a chance to climb in April 2014. PLEASE TELL ALL OF YOUR FRIENDS THE GOOD NEWS AND ASK THEM TO GET IN TOUCH TO BOOK THE FEW REMAINING SPOTS IN OUR 2015 AND 2016 TEAMS FOR FREE PERMIT HOLDERS. HOW TO APPLY: After all questions are answered to your (and our) satisfaction, please send your completed and signed application (email is preferable). To find the application, please go to www.SummitClimb.com or www.SummitTrek.com and in the upper right hand corner you can download it from the "HOW TO JOIN THE TEAM " button. Many thanks! I look forward to chatting, meeting, and to climbing to the summit and walking to basecamp together. Thank you very much. Welcome to Our Team and Best Mountain Regards! Telephone UK: (+44) (0)7810375400 (late afternoons and evenings best).